Book your event at this unique historic venue! The Old Church was first constructed in 1913 as the St. James’ Anglican Church. For over sixty years the Church was a spiritual and community centre for the growing village of Smithers. After the parish of St. James moved to its new home on Princess St. in 1975, the original church was left unused and suffered disrepair and neglect. In 2005, thanks to the dedication and vision of a dynamic group of volunteers, the building was resurrected as a community hall. 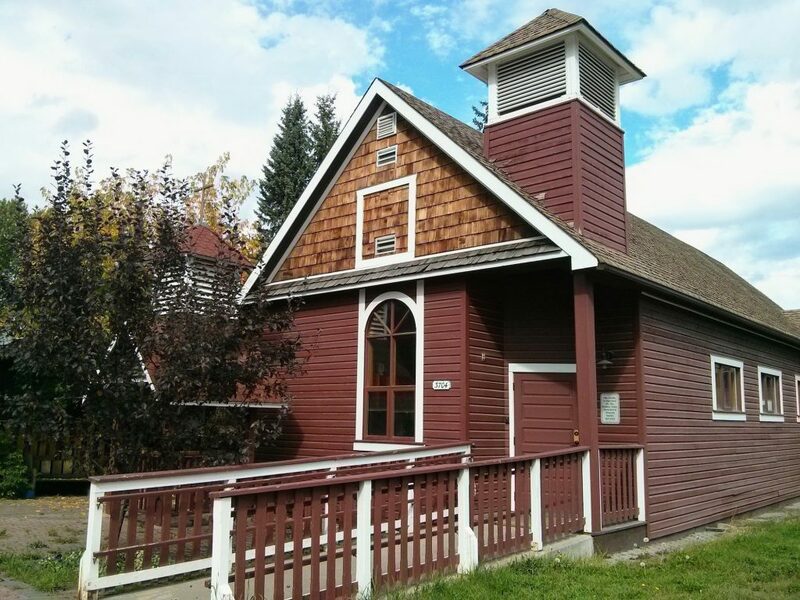 Administered and maintained by the Bulkley Valley Museum, today the Old Church is a popular venue for dozens of weddings, lectures, parties, meetings, concerts, and performances each year. The current rental fee is $30 per hour (minimum 2 hours) + $25 cleaning fee. For full fee information, including day and evening rates, as well as deposit information and pricing for additional amenities please click here to view a copy of the Old Church Rental Policy. For availability please contact the Bulkley Valley Museum 250.847.5322 or by email at info@bvmuseum.org. Address: The Old Church is located at 3704 First Avenue (corner of Main and First). Basic amenities: The Old Church can accommodate up to 80 people and comes with a fully equipped Northern Health approved kitchen. Amenities available with every rental include use of the kitchen, tables and chairs, upright piano, two washrooms (one accessible), and a screen and projector system. Free wireless internet is generously donated by Four Dimensions Computer Centre Ltd.
Additional amenities available for rent: wine glasses, sound system including microphone. Click here to view Frequently Asked Questions about renting the Old Church. Click here to virtually see inside the Old Church using Google Street View. Thank you to Eric Becker for doing the capture for us! ***Please note that these images are provided to give a general overview of the Church interior, and that specific decor or amenities are subject to change without notice.